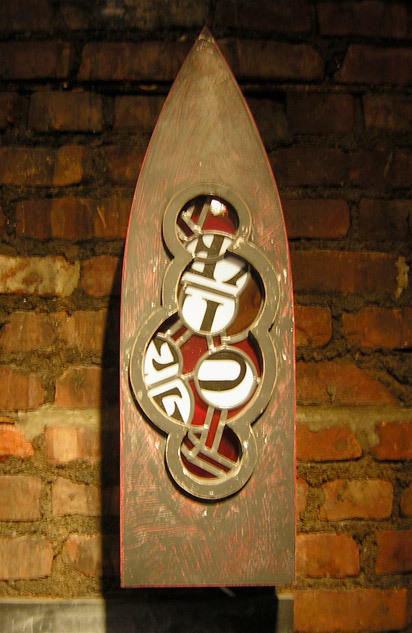 A resident of Ohio for most of his life, Ben Parsons graduated with a B.F.A. 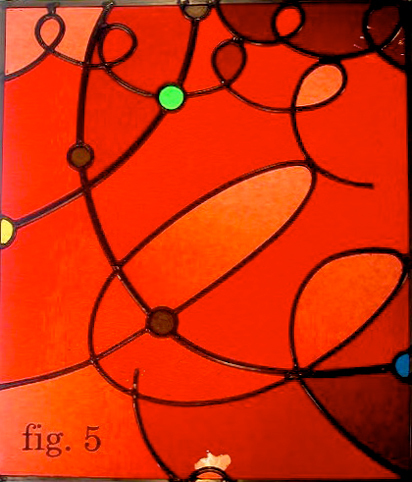 in painting from the Cleveland Institute of Art. 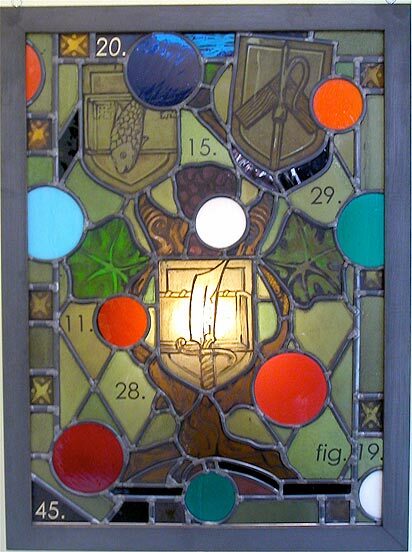 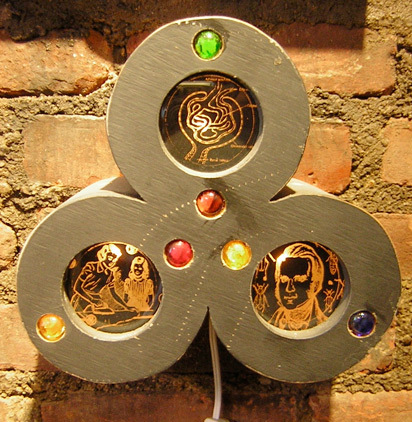 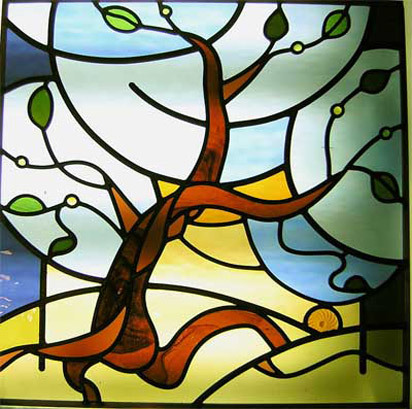 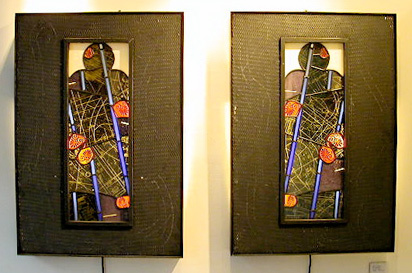 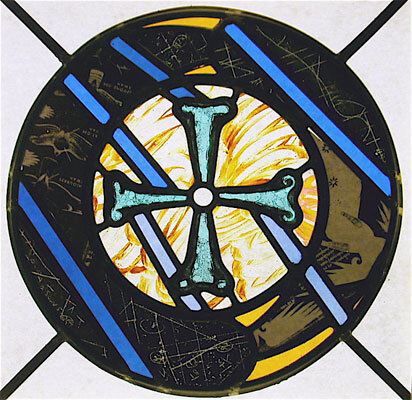 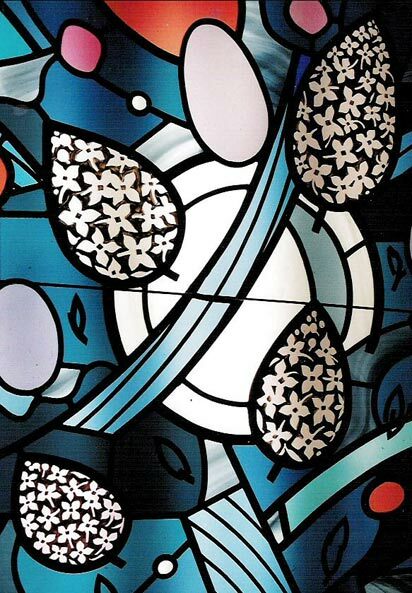 In the late 1980s, he began an apprenticeship at Phillip’s Stained Glass Studio during which he learned all aspects of leaded glass design, painting, and fabrication from the late master glass artist Douglas Phillips. 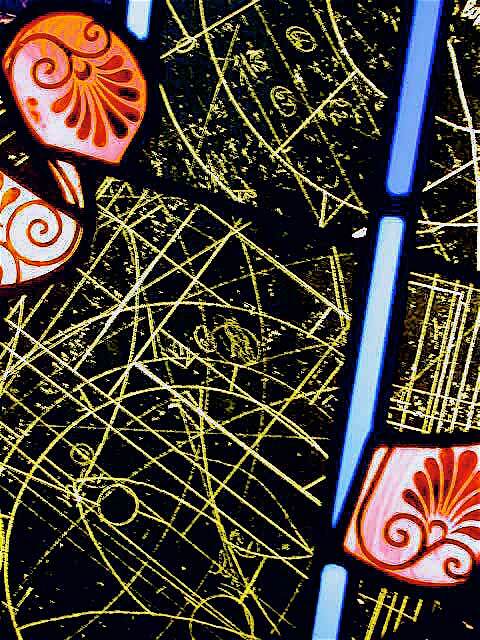 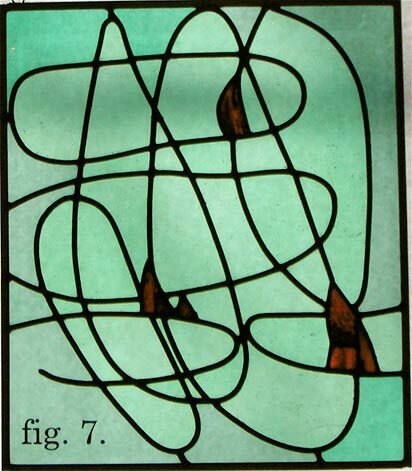 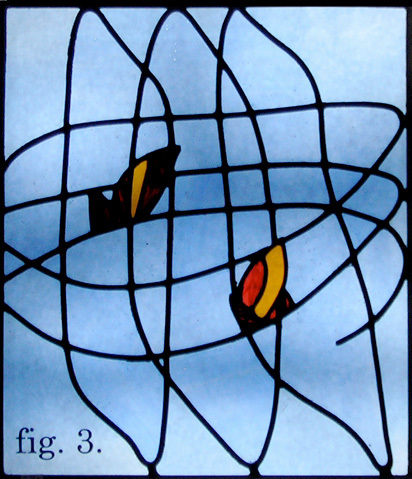 The qualities of stained glass are present in the abstract paintings that Parsons occasionally exhibits. 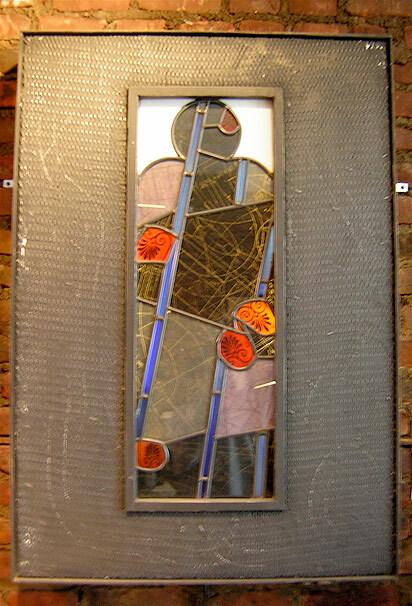 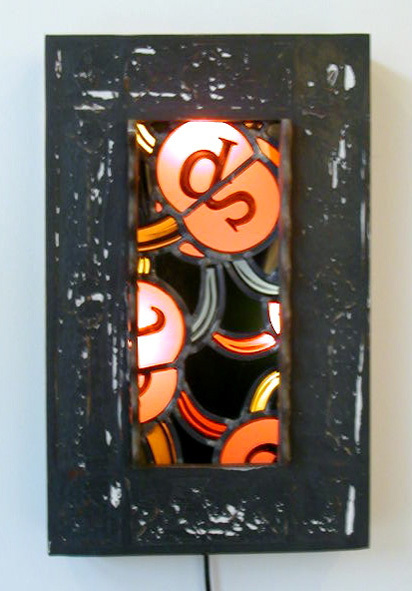 In contrast, the fluid nature of painting and the immediacy of collage continue to influence his approach to stained glass design. 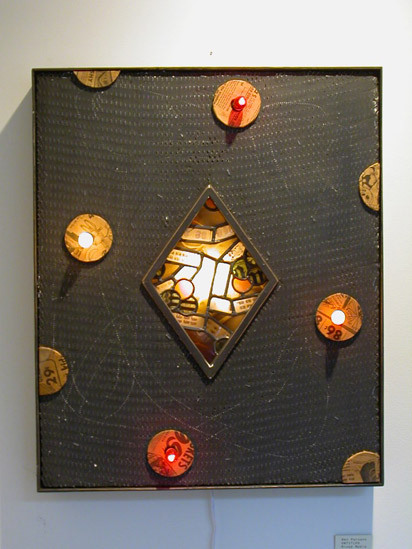 As one of the founders of AZURE, Parsons continues to create new visions with an ancient craft.